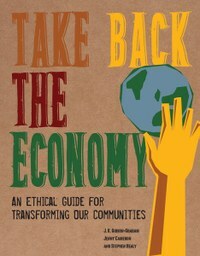 For August we’ve got four new book reviews: Richard White (Sheffield Hallam University) on Andrew Cumbers’ Reclaiming Public Ownership: Making Space for Economic Democracy; Antonis Vradis (London School of Economics) on Costas Douzinas’ Philosophy and Resistance in the Crisis: Greece and the Future of Europe; Rosie Meade (University College Cork) on Gwen Ottinger’s Refining Expertise: How Responsible Engineers Subvert Environmental Justice Challenges; Pete North (University of Liverpool) on J.K. Gibson-Graham, Jenny Cameron and Stephen Healy’s Take Back the Economy: An Ethical Guide for Transforming our Communities. Reclaiming public ownership, resistance in the crisis, challenging expertise, taking back the economy – how’s that for four impossible things on a Monday morning?! 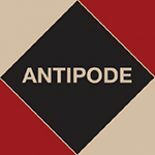 This entry was posted on 12 August 2013 by Antipode Editorial Office in Reviews and tagged alternative economies, anarchism, community economies, Crisis, democracy, diverse economies, environmental justice, expertise, Greece, local currencies, local money, privatisation, professionalism, public ownership, resistance, social movements, the economy, the Right, the right to the city.